The Sarnafil roof is now down and has just been rained upon. Waiting for the lantern and the bi-fold doors to be delivered. The guys are fitting the perimeter insulation into the roof before the decorative fascia is fitted. 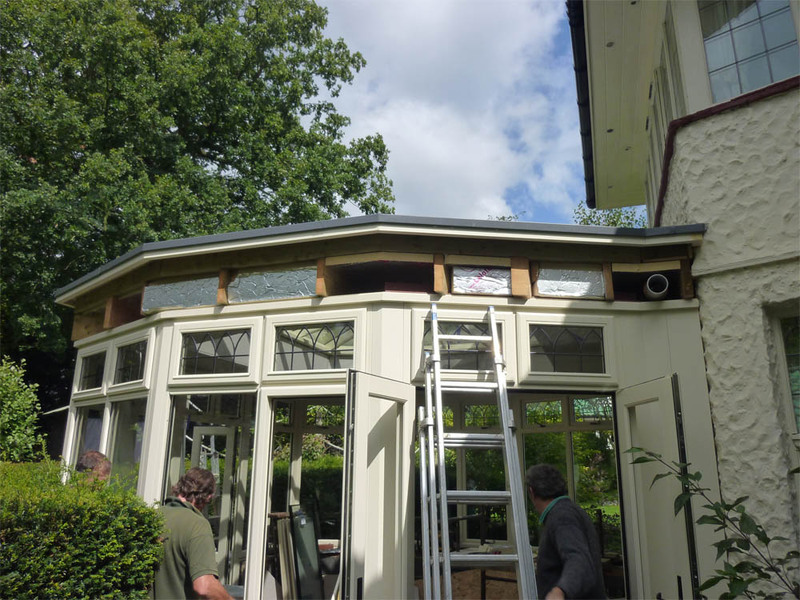 The orangery flat roof area is covered with Sarnafil and we utilised a “warm roof” design. This means that the insulation is in top off the roof, so there is no cold void that requires ventilation. 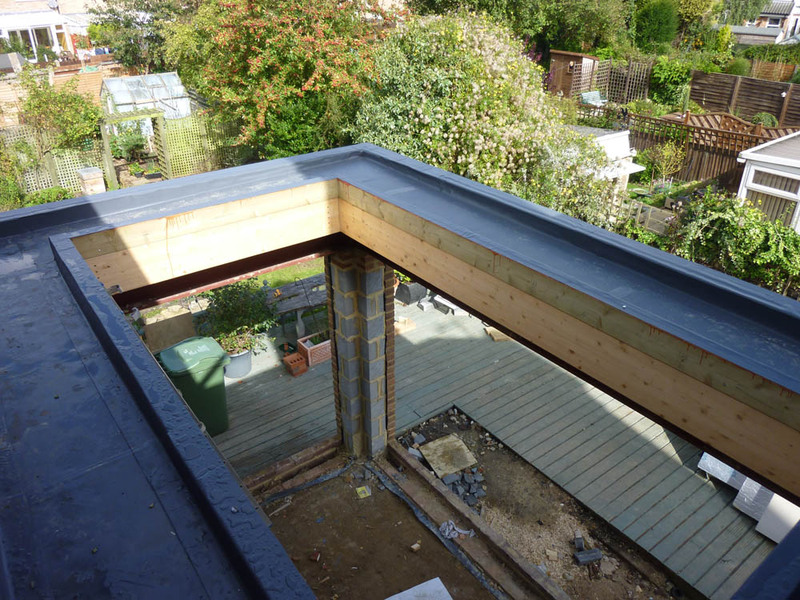 This does mean that a vapour barrier is needed to prevent any moisture from the room penetrating the insulation from inside and condensing on the cold, internal face of the roof membrane. 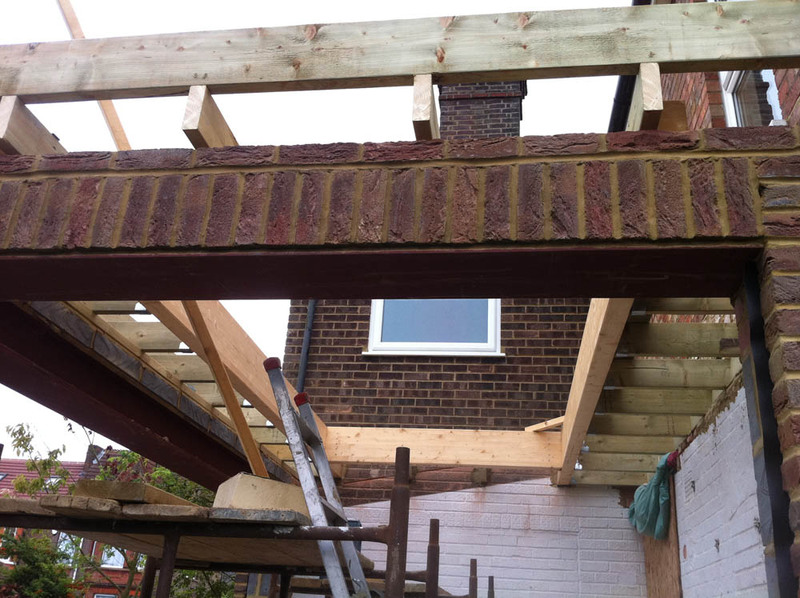 We typically use 140mm of rigid PIR insulation, 100mm on the outside and 40mm internally. The roof drain pipe can be seen, this will be fitted with an aluminium hopper and replica cast downpipe at a later stage. 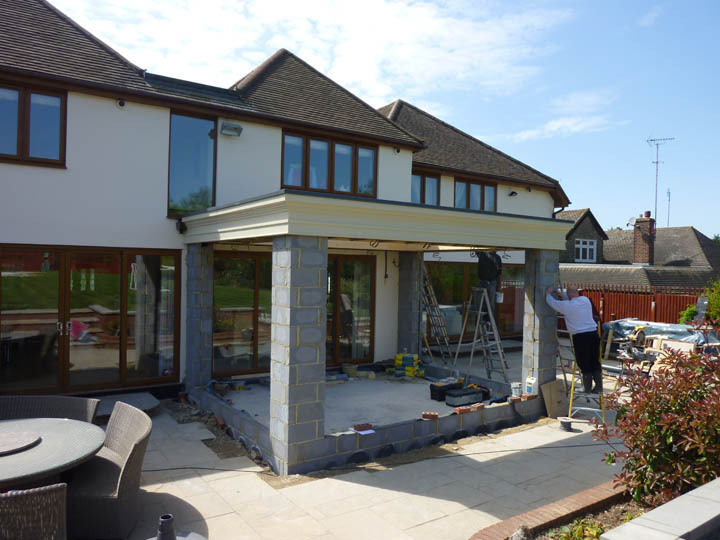 A timber trim will be scribed against the side of the house to cover the join to the wildly undulating render! The decorative fascia is fitted and the Sarnafil roof finished. This needs to be prepared before the glazed lantern can be installed. The hardwood windows, doors and lantern are just being delivered to site. We are making the most of the good weather by pushing ahead with the electrics. Michael, the electrician, is running the cables for some outside lights. He has already installed the wiring for the recessed spotlights inside the lantern roof. These positions are pre-planned so the spotlights don’t conflict with the timber joists.